8 Ball Pool is a Simplest game in the world: just hit the ball into the pocket. 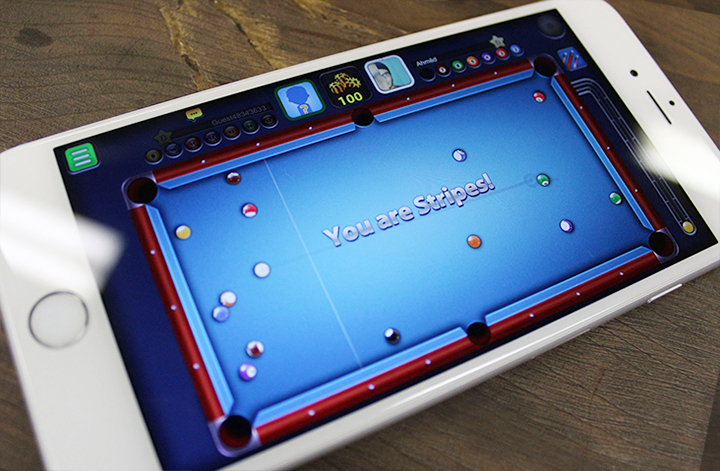 8 Ball Pool let's you shoot some stick with competitors around the world. It is wildly entertaining but can also gobble up a lot of time. But there are some things that you may not know about this game, even if you've played thousands of matches. Here are some things you probably didn't know about the beautiful game. In 8 Ball Pool, the closer you get to the black ball, the shorter your shooting time. Targeting may be the difference between winning and losing. All you have to do is activate Tap in the settings menu on your mobile to aim, and then tap the ball you want to aim with your finger in the game. Then the club will be relocated. It's especially convenient if you just put a ball at one end of the table and now want to put a ball at the other end. You don't need to drag the club with your fingers, just click on the screen. Hitting the target doesn't match the shots perfectly. You still need to adjust your aim to get the ball in. But it can save you some time and make sure you don't rush through the last crucial shot. There are two options in the Mobile Settings menu. We recommend that you try: the location of the power bar and the direction of the power bar. These mobile power bars appear in the game. Of course, you may have gotten used to where it is now, but if you move them elsewhere, you may find that your game will be much better. Give it a try and see what works best for you. If you like to play 8 Ball Pool on your mobile while doing other things. For example, while watching TV, cooking, or chatting with friends, you are playing 8 Ball Pool games. Then the vibration settings are right for you. Turning this on means that when your opponent's turn is over, your mobile will shake and the game will switch to you. This means that you will never miss your chance because you are busy chatting, cutting vegetables, watching TV and other things in real life. Sometimes we get information from mobile players who find it difficult to make accurate shots because the cue control is too sensitive. We also get information from players who say it's not sensitive enough. Fortunately, you can adjust your sensitivity in the settings. You can try it and see if it improves your game. If you're not a great guy, don't underestimate these settings. You can use 8 Ball Pool Coins to buy useful 8 Ball Pool cues to enhance your strength, but with these tips, you can be more comfortable in the game. Interested players can follow our daily update 8 Ball Pool guide. Joymmo.com has more wonderful guides to share with you.